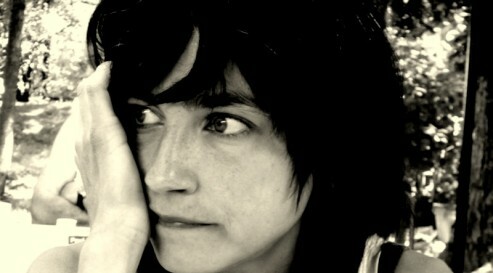 Ana Pepelnik is a poet and translator. Her first poetry collection, Ena od varijant kako ravnati s skrivnostjo (One Way to Treat a Secret; Prišleki, LUD Literatura) came out in 2007. The same publisher also published her subsequent two books of poetry, Utrip oranžnih luči na semaforjih (The Blinking of Yellow Traffic Lights) in 2009 and Cela večnost (A Whole Eternity) in 2013. She translates poetry by American poets, among others works by Joshua Beckman, Matthew Zapruder, Matthew Rohrer, Noelle Kocot, Jennifer Clement, as well as James Schuyler and Elizabeth Bishop. She is also a radio presenter on the independent radio station Radio Študent and voice researcher involved in various word/sound/silence/creak/noise events, for instance in the international project Metropoetica. She performs as the third wheel of the group CPG.